In the early 19th century Britain and France where fighting the Napoleonic Wars. Despite President Thomas Jefferson and then President James Madison’s efforts to keep neutral-- America found itself right in the middle of this conflict. British impressment of Americans into service. British and French trade restrictions disrupted American trade, which had a devastating impact on our shipping industry and country. These two country's privateers and military vessels blocked our ports and harassed American ships. The British took this a step further when they began to use impressment to take American men and goods illegally into their service. President Madison’s response was to impose the economic Embargo Act of 1807. It essentially kept American ships bottled up in harbors along the East Coast. This Embargo backfired for since it restricted our ships from trading for needed goods—it hurt the American people even more. Also, ironically, this Embargo didn’t stop the British harassment, which further damaged the American economy. 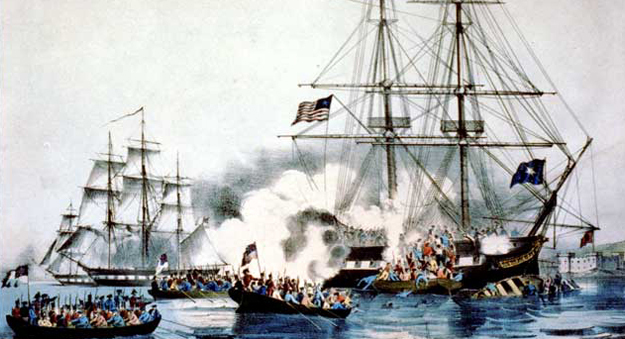 The end result was President Madison declared war against Great Britain in 1812. Privateering during War of 1812. During the War of 1812 the U.S. government licensed private armed vessels, known as privateers, which were not part of the American navy, to detain, seize and take enemy vessels, their crews and their goods. They then would bring these men into U.S. ports for prosecution. So privateers were in part sanctioned pirate ships. One such ship was a topsail schooner called the Dash. Built in Freeport, Maine in 1813 she was a half model or what is called a Hawk nest. This meant she had 16 guns and another ten fake “Quaker” wooden ones to fool the enemy. She was built for speed and eventually was re-rigged with a special sail to increase her already impressive speed. The Dash was able to break Portland’s blockade 3 times in 1813 with a cargo of lumber for trade. She returned from the West Indies having traded for coffee and sugar cane. 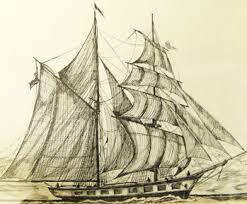 In September of 1814, she was commissioned as a privateer. She was re-armed with more guns and more men—mostly from Freeport. The Dash was able to capture 14 enemy vessels—all without one single injury to her crew. 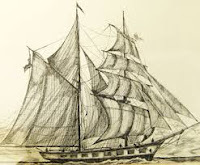 In January of 1815 she left port with another privateer, the Chamberlain. She pulled ahead but ran into a heavy gale. The Chamberlain turned back but the Dash continued. She was never heard from again. It is not known what happened to her but some speculate that her captain underestimated her speed and ran her aground on the treacherous shoals of the Georges Banks. 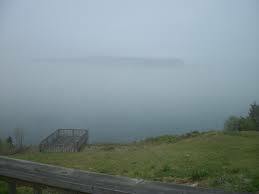 Within months of the Dash’s disappearance fishermen in Casco Bay swore they saw the Dash bearing down on them through a mist. As this ship headed for Freeport they clearly saw the words “Dash—Freeport” written on her bow. Over the years these sightings continued, at one point they even increased. Fishermen and other boaters reported that this schooner seemed to appear out of nowhere—always in a fog. Witnesses noted that despite the fact there wasn’t any breeze this did not prevent this sailing ship from moving quickly. A legend that grew out of these sightings states that when a family member of one of Dash’s 60 crewmembers dies this ship returns to bear these loved ones on their final journey. One impressive witness sighting occurred in the 1940s during WWll. A U.S. navel ship and Coast Guard boats that were protecting Casco Bay saw an unusual sight one foggy afternoon. A blip was noticed on their radar screens. These vessels headed for the spot. As the sirens went off and all men reported to their stations they were surprised to see a 19th century sailing schooner. It was cruising along the channel headed for Freeport. By the time they reached this old ship it had disappeared. 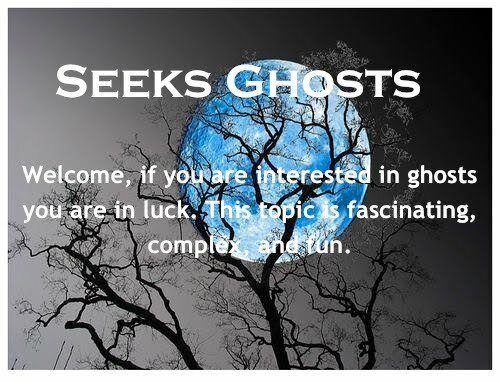 This sighting has been written about several times and has gone down as one of the most bizarre occurrences on the East Coast during the war.